A Southwestern Ontario marijuana grower and a fast-food chain have teamed up to open dispensary franchises across Canada, a deal marking the second partnership between a Canadian cannabis company and a restaurant operator. WeedMD, a licensed pot producer with operations in Strathroy and Aylmer, and Pita Pit Canada, a franchise with more than 600 locations across the globe, have launched Pioneer Cannabis Corp.
“This is a very capital-efficient partnership whereby we leverage our individual expertise into the cannabis space,” WeedMD chief executive Keith Merker said Monday. Pioneer Cannabis will help clients open and operate marijuana retail stores through services such as identifying locations, applying for the necessary licences, advising on security procedures, point-of-sale merchandising, payment systems, marketing and training. WeedMD will own a 9.9 per cent stake of Pioneer Cannabis stores in provinces like Ontario — one of six provinces to allow private retailers — where licensed producers are restricted to owning less than 10 per cent of dispensaries. “Pioneer brings an opportunity to those entrepreneurs interested in joining the cannabis industry, but who may not have the financial backing or the operational experience to pursue opening their own retail cannabis store,” Pioneer Cannabis president Kristie Smith, a former senior executive with Pita Pit, said in a statement. News of the company’s creation came on the same day that Ontario announced the 25 individuals and companies that will get a chance to apply for one of the first cannabis retail licences. Seventeen of the 25 winners are sole proprietorships, suggesting services like Pioneer Cannabis’s might be in demand as these entrepreneurs race to get storefronts open by April and avoid hefty fines. Operators who don’t open on April 1 face a $12,500 fine, while those that still aren’t in business by the end of the month must pay $50,000. But Merker says Pioneer Cannabis isn’t actively courting the lottery winners, as some marijuana companies have been doing in the days following the Friday announcement by the Alcohol and Gaming Commission of Ontario, the province’s pot retail regulator. “We try to play a longer game . . . versus going out and spending millions of dollars to land one of these lottery winners,” he said. 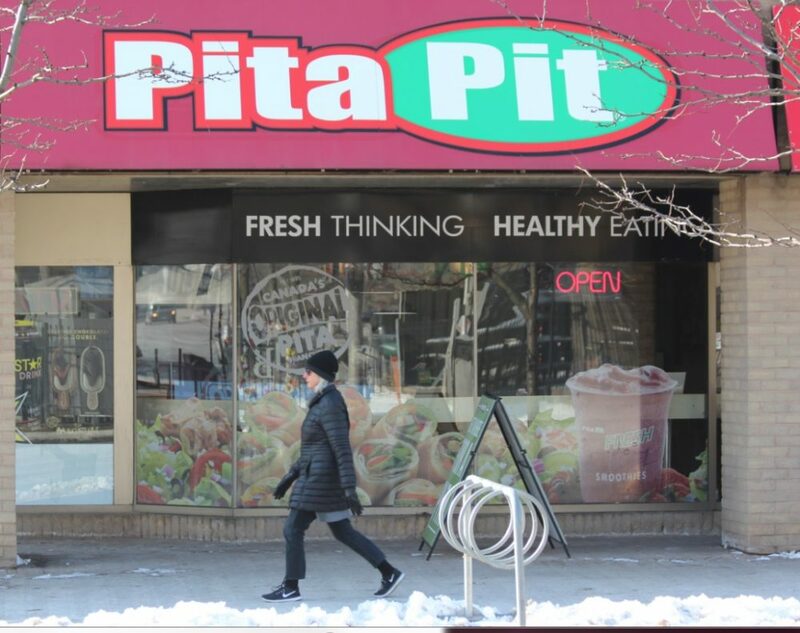 Founded in Kingston in 1995, Pita Pit has more than 225 locations across Canada, including three in London. However, there’s no plan to convert any of the eateries into cannabis retailers, Merker added. Last year, Canadian coffee-shop chain Second Cup partnered with National Access Cannabis (NAC), a company that operates medical marijuana clinics across the country and 20 dispensaries in Manitoba and Alberta, with plans to convert some Ontario cafes into pot shops. But those plans were derailed last month after the Progressive Conservative government announced only 25 retail licences would be awarded to open bricks-and-mortar stores in April, reversing a pledge to issue an unlimited number of licences. NAC was among the more than 17,000 applicants to the AGCO’s lottery, but it wasn’t selected. More retail licences for Ontario will be issued in December, though no other details have been provided.